Posted February 22nd, 2012 by Barry Berndes & filed under Breweries, Brewery Restaurant, CSV Importer, Oceanside, Oceanside Restaurants, Restaurants, Sports Bar & Restaurant. Posted June 16th, 2009 by Barry Berndes & filed under Attractions in Oceanside, Farmers' Markets, North County Coastal, Oceanside. Posted June 7th, 2009 by Barry Berndes & filed under Attractions, Attractions in Oceanside, Oceanside, Welcome Center. Oceanside is the northern gateway to San Diego County. It is also North County’s transportation hub with the Coaster, Sprinter and Amtrak passing through it. It has a picturesque harbor, miles of beautiful beaches, a multitude of shopping alternatives, affordable new homes, golfing and recreational activities galore. A major attraction is the historic Mission San Luis Rey. 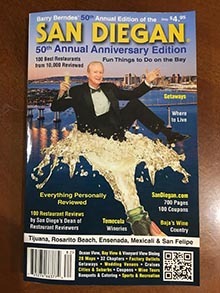 Posted April 10th, 2009 by Barry Berndes & filed under 44th Edition OR, Happy Hour, Hotels & Resorts, Oceanside, Oceanside Harbor & Marina, Staying in Oceanside, Staying in Oceanside Harbor. Posted December 22nd, 2008 by Barry Berndes & filed under Banquets & Catering, Hotels & Resorts, Oceanside, Oceanside Harbor Restaurants, Oceanside Restaurants, Staying in Oceanside, Staying in Oceanside Harbor. Posted November 25th, 2008 by Barry Berndes & filed under Banquets & Catering, Banquets and Catering, Hotels & Resorts, North County Coastal Weddings, Oceanside, Oceanside Weddings, Staying in Oceanside, Wedding Venues. Posted November 23rd, 2008 by Barry Berndes & filed under Banquets & Catering, Banquets and Catering, Hotels & Resorts, North County Coastal Weddings, Oceanside, Oceanside Harbor & Marina, Oceanside Weddings, Party Venues, Rehearsal Dinners, Staying in Oceanside, Staying in Oceanside Harbor, Wedding Venues. Posted March 30th, 2008 by Barry Berndes & filed under Hotels & Resorts, Oceanside, Staying in Oceanside. 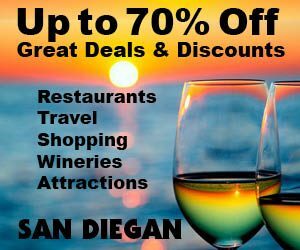 Posted January 15th, 2008 by Barry Berndes & filed under California Cuisine, Corporate Meeting Venue, Happy Hour, North County Coastal, Ocean View, Oceanside, Oceanside Restaurants, Rehearsal Dinners, Restaurants, Restaurants.